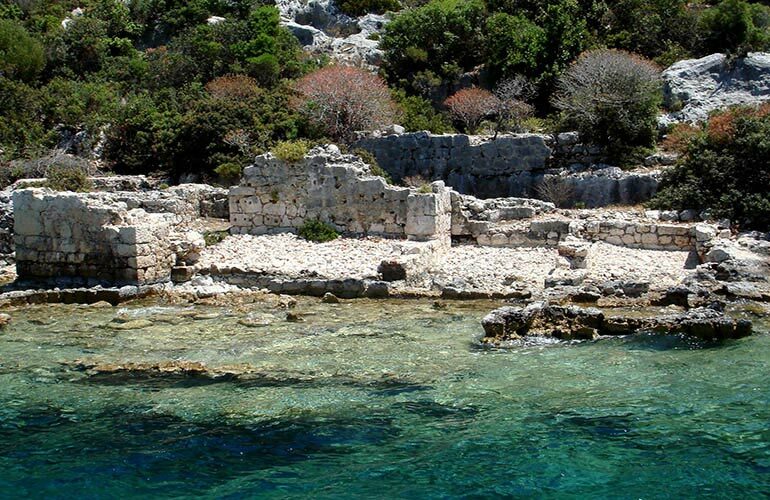 Boat trip to Kekova, Sunken City It is a combination of seeing a natural beauty, historic remaining and lots of swimming. One of our best excursions with it's perfect combination of scenery, history and swimming. 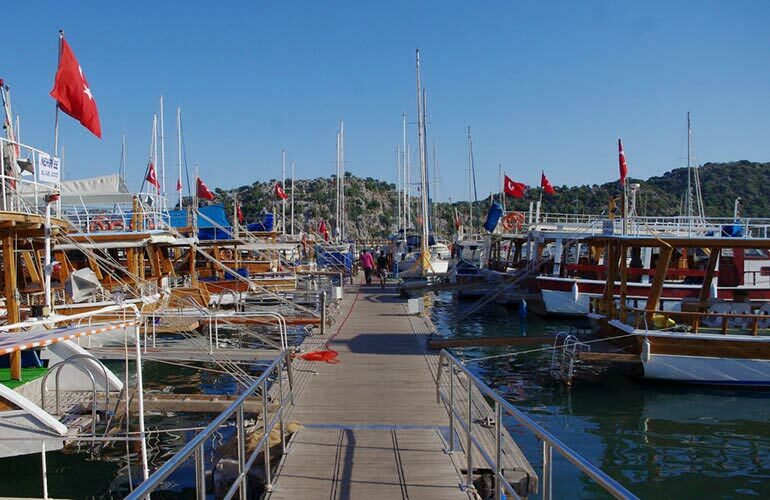 Not an exaggeration to say it is one of the best one-day cruises of Turkiye too. This excursion begins with a comfy journey to the "Ucagiz" and on the wayyou will enjoy spectacular scenery of mediterranean. Ucagiz is a small seaside town near Kekova island, with old stone houses, simle cafes and a cluster of ancient Lycian and Roman tombs. At Ucagiz our boat with twolevels to provide some shade and also place with sun will be waiting for you. Then, you leave for a cruise around Kekova islan including ancient shipyard and Sunken City, untouched Simena town, Blu Cave and various bays. First Stop will be at "Tersane Bay"	which was an ancient shipyard on Kekova Island. You will have half an hour for swimming and enjoying the bay. If you have a snorkel it is a good place to see underwater. Thnaks to glass beneath the boat, you will have chance to see part of the Sunken City while our boat moves slowly. The city sunk by earthquake in the second century AD. However, many remainings still can be seen on the island and in the sea. Ancient city of Simena which is a small town at the moment only be reached by sea will be visited. during excursion. It is dated back to the forth century BC. It worth to visit town and also the castle which has stunning view of the whole area. 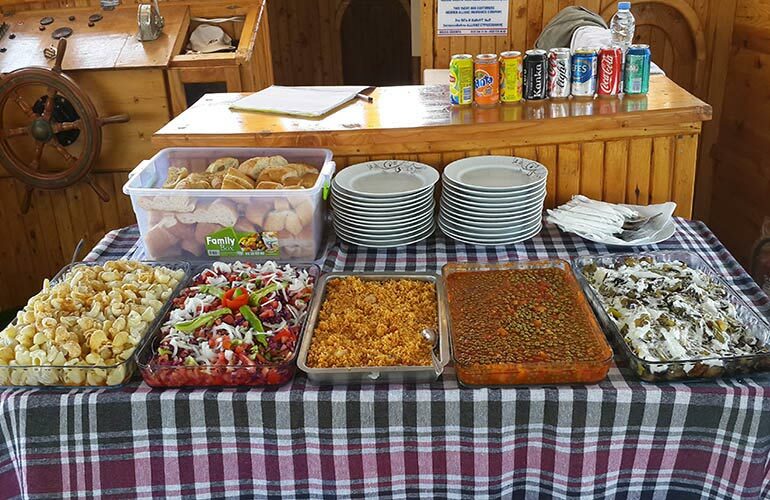 Lunch is served on the boat consists of some starters on a buffet and grilled chicken. Our captain will choose a secluded bay so that by the time lunch is ready guests can enjoy the blue sea. 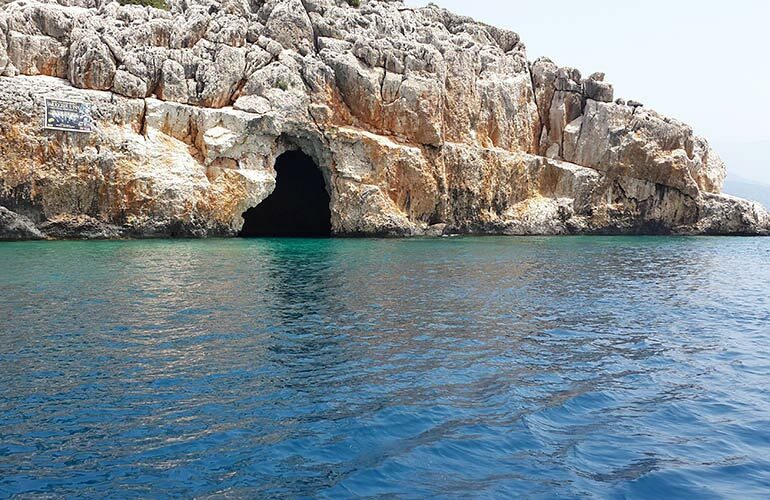 After lunch boat will stop for more swimming in two more bays and visit the blu cave.